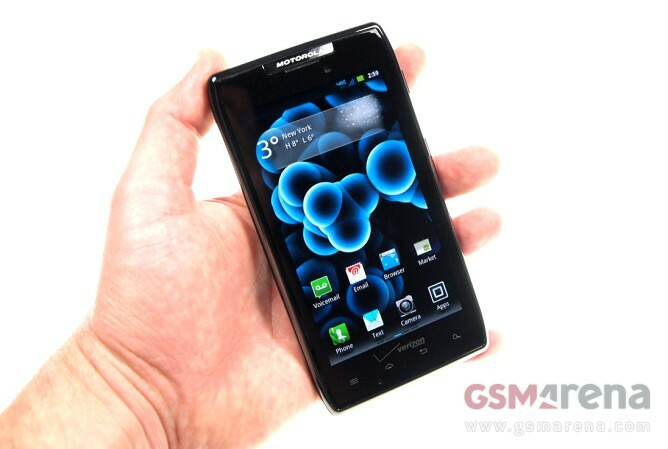 In terms of specs, the Motorola Droid RAZR MAXX is mostly identical to its slimmer sibling. It features the same dual-core 1.2 GHz Cortex-A9 CPU, a gig of RAM, a Super AMOLED screen with qHD resolution, and an 8MP camera, capable of full HD recording. Only the built-in memory of the newcomer has been reduced to 8GB, in order to make space for the 3300 mAh monster of a battery. The Droid RAZR MAXX has grown in measures to 130.7 x 68.9 x 9 mm – that’s a 2mm increase in thickness over the original. Its weight is now 145 grams – still highly acceptable given the size of the battery unit alone. The usual blend of metal, kevlar and Gorilla Glass are present as well – just like in the original Droid RAZR. The Motorola RAZR MAXX comes with Android 2.3.5 Gingerbread out of the box, dressed in the company’s proprietary UI. Check it out in action below. Yes, you guessed it right! We have a battery test and more features of the Motorola RAZR MAXX in the works, so stick around!